I’ve valued concept maps (also known as mind maps or writing webs) as a writing and teaching tool for many years. 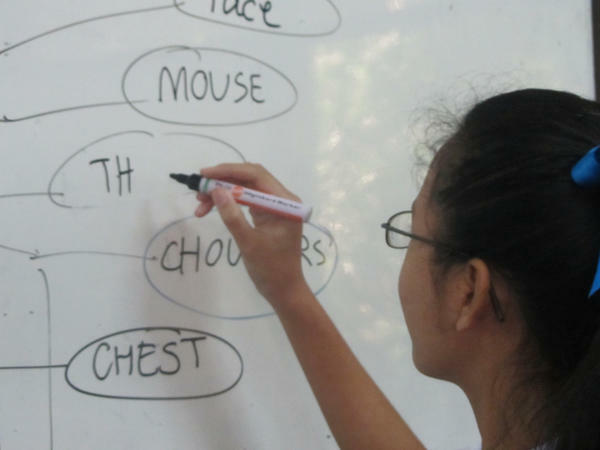 Read on to learn how to use concept maps for writing, editing, project planning and teaching. Concept maps are visual representations of linked thought. A key topic is written first, and then related concepts are noted. Next, concepts are linked, revealing relationships, processes and possible new directions. Concept mapping is different from brainstorming because the key objective is to make (and label) links between concepts or ideas being mapped. People use prior knowledge and creative thinking to help make those links. Concept mapping is a tool for meaningful learning and may lead to deeper understandings, better questions and new ideas. What are concept maps useful for? Turn your paper sideways for added space. Write key topic in the centre and circle it. Quickly write related concepts, linking to main topic or sub-topics being added. Try to cluster similar ideas. Circle concepts and draw lines to link ideas. You can also link to relevant questions. Label lines to explain how links relate. You may do this as ideas are flowing, or afterwards. Review your results and add any missing concepts or links. This process should be messy, at least initially. Focus on getting a flow of ideas recorded at the outset. Editing your concept map will come next. 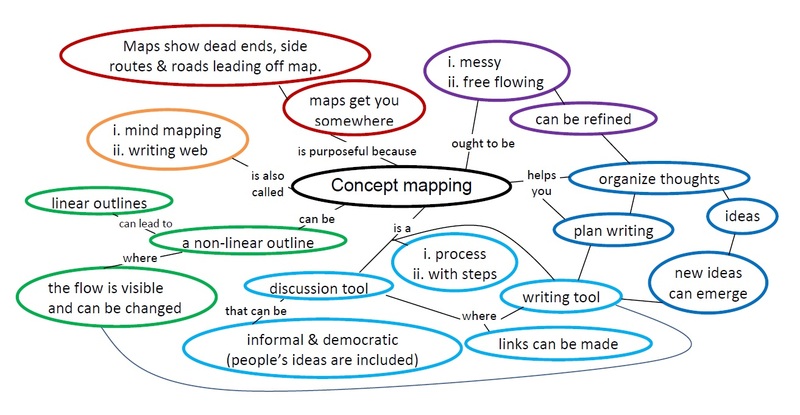 Use your first map to help you create a revised and better organized concept map. Your concept map can be used as a writing outline. Revise or recreate as you go. Have it handy as you write. If you are stumped, you can easily reorder your argument or see if something is missing in the flow. Use the bottom left or right side of the page as a ‘parking lot’ for ideas that come up that seem unrelated but may be linked in later. 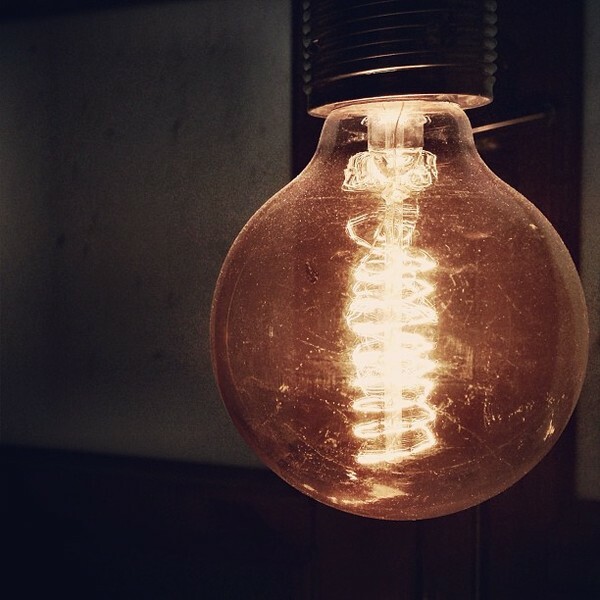 This keeps the flow of ideas coming – a good way to avoid writers block and to encourage fruitful group discussion. The process of concept mapping may be more important than the finished product. You can use your concept map to write ideas into a linear outline. What tools do you use to keep your ideas flowing? I have never seen this as well explained! As a result I feel much more inclined to actually make use of the technique . Thanks so much! I am writing an article about using concept mapping when planning nursing research projects. I would like your permission to use your graphic of a concept map of concept mapping, if possible. Of course, you would receive full credit and acknoweldgement.